Yes. Truweight’s weight loss programs are backed by expert Nutritionists and Doctors who meticulously prepare diet plans for each of their clients based on their individual body composition. Hence, the program is safe and trustworthy because every diet plan will be according to your health quotient. Truweight Reviews show that the program is one of the most natural ways to fight lifestyle diseases and to lose weight. It doesn’t endorse any weight loss pills or machines. Instead, it works on food and nutrients to bring about a natural and safe changes among its clients. Yes, Truweight’s Superfoods are produced from the foods which are nutritionally blessed but are forgotten over time. The superfoods that they have included are like quinoa, spirulina, wheatgrass, alfaalfa grass, apple cider vinegar etc. These superfoods are scientifically proven diet foods that bring numerous health benefits besides helping in weight loss. Also, they maintain a proper expiration time frame for all their superfoods, making sure that the clients get the products in the best possible quality. What diet does Truweight program follow? Truweight’s program doesn’t follow one particular diet plan. The clients get personalized dieticians who prepare customized diet plans that are suitable for each of the clients. It mainly focusses on providing balanced diet plans so that the client gets all the required food groups and still lose weight in the most natural and sustainable way. I am losing inches but not losing weight. Fat takes up more than four times as much space as lean muscle mass. So when you lose fat and gain muscle, your weighing machine might show the same weight. But your inches will vanish as fat takes up much lesser space. Though everyone is obsessed with weight, inches are a much better indicator of health than weight. You can lose weight by losing water and muscles from the body, but you want to lose fat. In fact, your goal should be to lose fat and gain some lean muscle mass. But lean muscles are denser and weigh more than fat, so when you gain muscles, you gain weight. You should be happy with this weight gain. If you are losing inches but not losing weight, it means you have lost fat and gained some muscles. So, do not fret. Weight will also start moving in few days. Checking your health parameters frequently is more important than just checking the weghing scale. Why should we focus on building muscle mass? Muscle is a metabolic furnace which burns additional calories 24 hours a day. A pound of muscle naturally burns approximately 6 calories a day (whereas a pound of fat tissue burns only 2 calories a day). Therefore, the more muscles you build, the more calories your body will naturally burn each day even at rest. Proper strength training and a high protein diet will help you in building up lean muscle mass. Lot of our members ask why do we need supplements when we are eating right. The reasons are many. Firstly, you must be eating healthy now, but what about all the unhealthy eating of the past? You need to make up for the deficit of the past. Secondly, foods nowadays are not as nutritious as they used to be because of high usage of fertilisers and pesticides. Thirdly, if you are suffering from disorders like anemia, PCOS, thyroid which could be due to certain nutrient deficiencies, then you will need higher dosage of certain nutrients like iron or selenium. Food supplements are an answer. Please remember, food supplements are not medicines and can be taken when necessary. They are largely made of food products only and do not have side effects. Why should I cut down on grains to lose weight? When we tell our members to cut down on processed food, cola, chips, they readily accept it. The biggest resistance comes when we tell them to cut down on grains. Indians diet is largely dependent on grains. Whole grains are good sources of nutrients but are also rich in carbs and contribute to large amounts of calories in our diet. Our point is: eat grains according to your requirement and not in excess. Our body needs foods from all food groups and when we consume so much of grains, then we are compromising on other essential food groups. We are not against grain, but we want you to take it in moderation. Also, world does not begin and end with wheat and rice. There are other grains also like jowar, bajra, ragi, foxtail millet, etc. which are healthy. The situation is similar to Indian sports. Though there are multiple sports, it is only cricket that gets all the attention. We so wish! If they worked, then we could eat unhealthy foods everyday and still stay slim and healthy. No rich person on earth would be fat. We would be the happiest people in the world if slimming machines worked. Slimming machines make you lose water, because of which your weighing scales show lower weight. And people become happy. And then slimming centre tells you that you cannot gain back the weight and you need to eat low calorie diet and exercise. If you go back to them with higher weight, they will not give you your treatment saying “We can’t keep on giving you services and then you increase your weight by eating unhealthy food”. So, to get your treatment, you try and lose weight by starving yourself and by exercising. You lost weight not because of machine treatment, but because you cut down on your food intake and because you started exercising. So, why pay money to slimming centres? Is there any weight loss pill? Unfortunately no. There are very few pills which will help in weight loss. But no single pill can give you 3-5 kg weight loss. It can at best help you in your weight loss journey, but can’t travel the distance for you. Please remember, food made you fat. Only food can make you slim. What is body age and how to decrease it? Body age is a measurement of how old you are biologically based on your health and fitness level as opposed to what your actual age is. Simply said, it is how time and your lifestyle have affected your organs and cells. Body age is calculated from your resting metabolism. Resting metabolism is calculated by combining your weight, body fat percentage and lean muscle percentage. We lose muscle tissue and gain more fat as we age. Body age can be decreased by losing fat and gaining muscle. Factors of biological aging include changes in the physical structure of the body as well as changes in the sensory awareness. It is important to know your biological age. If you know where the problems exists, you can initiate the lifestyle modifications necessary to improve your health and increase your vitality.Body age can be decreased by making some lifestyle changes like healthy diet and regular exercise. It is possible to know your body age with the help of BCA machines. You can walk into any of Identity clubs and check your body age. What is BMR ?What is the ideal BMR? Metabolism refers to the process by which your body converts your food into energy. Body needs energy even when it is resting for functions such as breathing, circulating and repairing. Basal Metabolic Rate (BMR) is the amount of energy expressed in calories that a person needs to keep the body functioning at rest. BMR affects the rate at which you burn calories and ultimately whether you maintain, gain or lose weight. Our basal metabolic rate accounts for about 60 to 75% of the calories we bum every day. It is influenced by several factors like age, weight, gender, body composition etc. Surprising to many, an overweight person will have a higher BMR. Men have higher BMR because of more muscle mass compared to women. What is subcutaneous fat and visceral fat? Subcutaneous fat is the fat or adipose tissue lying under the skin layers. It acts like a cushion and protects our skin against trauma and also acts as a source of energy.Fat accumulated in the lower body (the pear shape) is subcutaneous. Visceral or Abdominal fat is the fat that is located around the vital organs.This fat acts like a cushion for the internal organs and protects them against any shocks, injuries, trauma etc. Fat in the abdominal area (the apple shape) is mostly visceral and increases the risk of high blood pressure, type 2 diabetes and heart diseases. Good news is that visceral fat can be easily reduced with diet and exercise. Research has shown that excess abdominal fat disturbs the normal balance and functioning of hormones in the body. Compared to subcutaneous fat, visceral fat is more harmful. Can I really stick to this plan even with my busy lifestyle? In today’s world, most of us are busy.Let that not be a reason for not living a healthy lifestyle. Our program is very flexible and most of our clients are professionals who follow the program quite easily. In fact, by following our program, you will feel more energetic and your productivity will increase. What should I do if I'm hungry at night? If you feel hungry every night, then you need to ensure that you are having proper dinner and there is not more than 3-3.5 hours gap between dinner and sleep. If you eat dinner at 8pm and sleep at lam, then you are bound to feel hungry. And you will feel like binging. All your days efforts will go waste in the last hour. You need to adjust your dinner and sleep timings to ensure that you do not feel hungry every night. But if you feel hungry once in a while, then you can go for air popped popcorn, plain soups, buttermilk, green tea or ice tea, handful of roasted nuts or channa. Also, ensure that you are having sufficient meals at regular intervals throughout the day. Include high fiber and high protein foods for dinner as they take longer to digest and keep you full for longer. Most importantly, learn to differentiate between actual hunger and ’emotional hunger’ or craving. Try drinking a glass of water and wait for 15-20 minutes to check if you are still hungry. If not, it was due to craving, stress or boredom. Can my children and the rest of my family also follow these meal plans? Why not? If you learn something good, then you should definitely share it with your near and dear ones. After all, it is all about spreading happiness of good health to as many people as possible. Can I follow this plan if l have Diabetes/PCOS!Thyroid? A big YES. We have a scientific program that can be followed by those with Diabetes/Thyroid/ PCOS. We have a lot of clients with these disease profiles. Will I lose weight by just eating Super Food, even though l continue with all my unhealthy habits? A big NO. Super Food is not a brahmastra. It will help you in your weight loss journey. But it alone can’t make you lose weight. Weight loss is about attacking 7 causes of obesity and unless you take a comprehensive approach, you will not win. Can Chris Gayle alone win the match, if there is no other player in the team? You need the full team. Similarly, super foods without proper diet counseling and mentoring will not give you the desired results. I want to lose 8kg!l in a month! Please look for an Allahdin ka chirag. 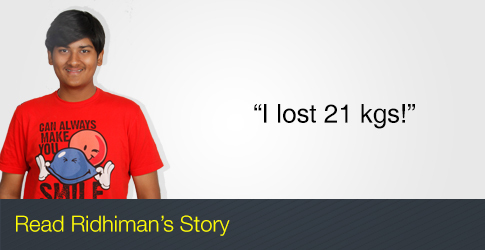 With Truweight program, you can expect 3-4 kgs weight loss in a month. There are few people who lose more that in a month, but those are exceptions. You should never aim or plan to lose more than 4kgs a month, otherwise you will look for shortcuts, which are not healthy. Will the Truweight program give same results for everybody? No. Every person is different. And every body reacts in different ways. Hence, results will vary for every person. Few people might show the best results in the first month, whereas few show better results in the second or third month. But one thing is clear: everybody shows results, sooner or later. Persistence is the key. Is it a strict diet or crash diet? We are totally against crash diet. Also, we realise that strict diets are not practical. If the diet is not simple to follow, it is not going to work. But at the same time, we do not want to make false promises and say that you will not have to make any changes to your diet and lifestyle. You will have to. You can’t expect a different output with the same input. I am experiencing bloating after increasing fiber in my diet. Don’t add fibre overnight to your diet. Gradually increasing fiber in your diet can avoid bloating and gas by giving your body time to adapt.And be sure to drink plenty of fluids when adding fiber to your diet. While fiber is normally helpful to your digestive system, without adequate fluids it can cause constipation instead of helping to eliminate it. Can medications affect my weight? Yes, some medications used to treat depression, migraines, diabetes, high blood pressure have side effects of weight gain. Certain steroids, hormone replacement therapy, and oral contraceptives are associated with weight gain. But not all medications to treat the above conditions affect body weight and each individual’s reaction to the same drug is different, some might even lose weight with the same medications. So, if you observe 3-4 kgs of unexplained weight gain or weight loss you should talk to your doctor and take steps to work towards it. 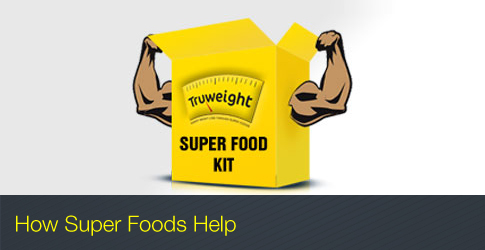 Will the Truweight food products take care of my monthly ration? Do I need to buy any additional food/grains? The Truweight products are an effective replacement to unhealthy snacks and a healthier version of many of your breakfast items. However, you would still need to buy your groceries like you would always do. We do not give healthy foods that are readily available in the market e.g. fruits, dry fruits, dal, vegetable, brown rice, buttermilk, sprouts, etc. We provide products which are generally not available and are based on our formulations e.g. TruGreen, TruFibre, Gluten Free Atta, millet idli, non-fried snacks. You will be required to have your regular meals with some alterations along with our super foods. Are your Super Foods ready to eat? Almost 90% of our products are ready to eat or can be microwaved easily (upma, foxtail millet). But some of the products (around 5 products – like red rice poha, quinoa dal dosa and gluten free atta) require cooking. In case you are not comfortable with these products, it can always be changed with other products. As long as you have access to healthy regular cooked meal, it is possible to follow the program. But in case you have to eat outside food for almost all your meals and availability of healthy foods is not there, it will be very difficult to follow the program.